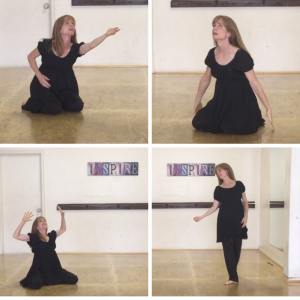 In the video below, I dance to a portion of poetry from A Bride Made Ready by Wesley Scott Amos that gave me a powerful picture of Christ’s relationship with His church and with me. Let me tell you a little about this inspired book. I read A Bride Made Ready in two days but will meditate on it for a long time. This poetic book gave me a beautiful picture of what it means to be saved and cherished by Jesus and also to be part of what He has been doing in His Church over the millennia and will one day complete. The author presents theologically sound truths even as he touches the heart with the love story of Jesus and His Church. I so appreciated that Amos roots his story and teaching in scripture. He holds together two vital truths: It is God who calls, justifies, and sanctifies and by His grace qualifies (Romans 8:30) us to be His and makes us beautiful. At the same time, we have a part in becoming ready for what He has called us to. We walk in faith, in response to His faithfulness; we work out our salvation in fear and trembling (Philippians 2:12); we yield to His sanctification; and so we have a part in being made ready. Amos holds these two truths together in every verse of his poem. The poem also touched my heart, as Amos tells the love story of Jesus and His bride. I was especially moved by the final chapter. In this chapter, Amos describes a scene when the Accuser points out the sin and failings of God’s people throughout history. In response to each accusation, the Lord describes how he sees each man and woman, highlighting deeds done in faith, perfected by Jesus. And these deeds touch His heart, making it swell with love. In each person, the Lord sees a foreshadowing of the great day when His perfected bride, the Church, will worship Him at the wedding feast. This made me love the Lord so much, that He would see such good in us and would make our halting obedience into a thing of great beauty and purpose. 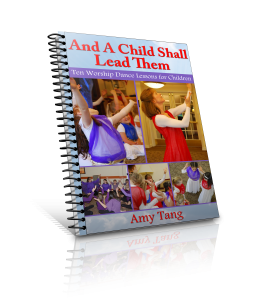 If you would like to learn more about this book, you can find it here. I love spoken word… if I could get that music from Marlita & Max Richter…..
Keep pressing… we are watching..
Hi Bobbi. Thank you! What is the music from Marlita and Max Richter? You’ve got me curious. Should I know? Thanks for your encouragement. I’m enjoying learning with you. I LOVED YOUR DANCE TO SPOKEN WORD Amy! I encourage you to keep letting God use you for His Glory!!! Thank you so much, Laverne. Thank you for your encouragement. Bless you! Next Next post: Do You Let Yourself Be the Student?